My nice camera is still in the shop (next week, they say!) 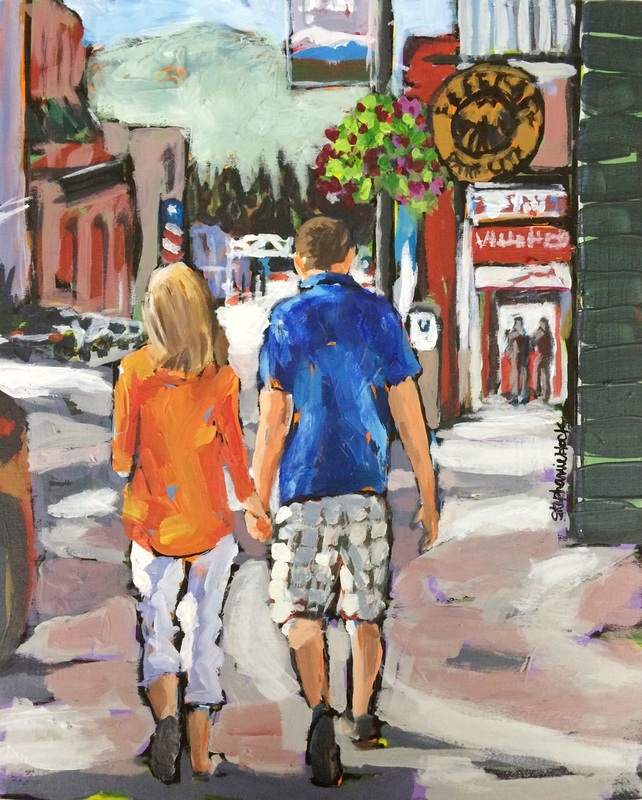 so forgive the iPhone pic, but here's one I just finished, "Hand in Hand." Also, I really wish every person would wear bright, complimentary colors as they're out and about, it really helps my reference photos (ha ha).